Alex and Brian are joined by Colin Ward from Legalized Mischief Productions to discuss our tips and tricks as commission painters for getting detachments and armies painted and on the tabletop. Tons of great advice and ample amounts of trash-talk! Join Alex and Brian as the breakdown the changes from the FAQ and also review a listener's Kill Team list. In episode 53 we cover our impressions of Drukhari in Kill Team, a special shout out to one of our listeners, a Patreon list for Review and a preview of our collaborative next episode. Thanks for your support guys! 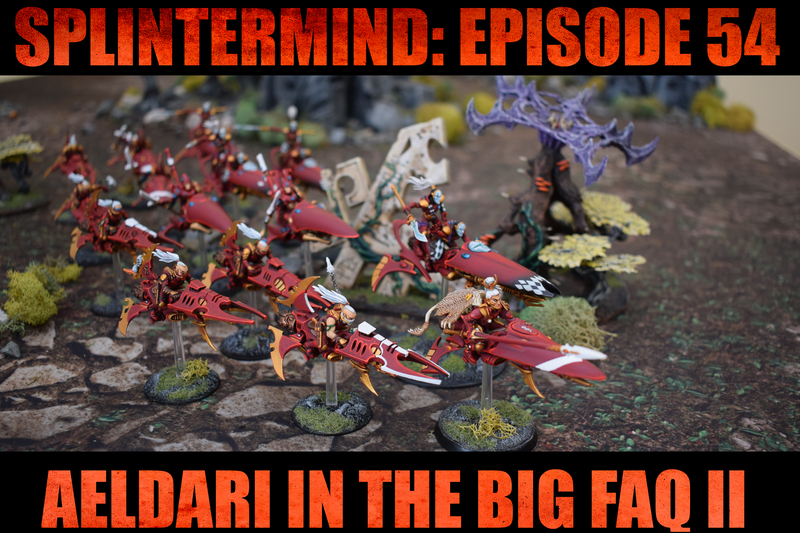 Episode 52: Skari returns from the ETC and the return of Optimistic Archon! Skari joins us to talk ETC, recent tournament wins, and our first ever guest hosted Optimistic Archon to talk Beastpacks. There's even mention of using Razorwing Flocks to distract Land Raiders like a seagull pooping on a tank to prevent it from shooting!